Testostene Replacement Testimonials and Reviews by Boston Testosterone Partners. 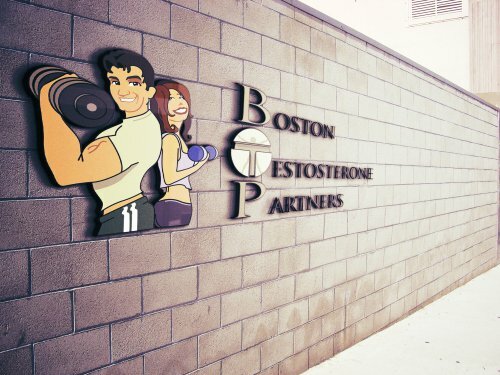 At Boston Testosterone Partners, we define success as our patients do. We believe that candor, veracity and integrity are defined not by what a medical practice says about themselves but, instead, what the patients and clients say about the medical practice. Boston Testosterone Partners /Core New England was founded by Physicians who pride themselves on openness, transparency and simplicity. Our industry low cost of $450 / 10 weeks of complete testosterone therapy is unmatched. Moreover, 99% of the other testosterone clinics and testosterone doctors never disclose their therapy costs or options until they gather all your personal information. Further, we charge no other recurring fees, nothing monthly, nothing annual, nothing billed automatically. We do not force our clients to unnecessarily purchase lab and diagnostic testing. Unlike most other clinics, we allow our patients to use their insurance for all testosterone blood work orders. And our practice not only offers the lowest and best prices for Testosterone Replacement medications, but we go one step further. We lock in prices for our patients when they start, something very few Testosterone Replacement Clinics or Hormone Doctors will ever offer. Our practice focus is squarely on the health of men. TRT is a small fraction of our practice. Many of our patients come referred to us by their Primary Care Doctors with joints and connective tissue injuries to heal and many with fat loss goals. And many of them, in addition to our TRT protocols, come for the Proprietary Injectable B12/Amino Acid compounds, Sermorelin GHRP2/Theanine , Glutathione protocols or our cutting edge neutraceutical injectables found only at Boston Testosterone. The way we see it, there’s no greater view of what to expect than what others experience. It’s why we always read product reviews before we buy something. Honesty and integrity demand the reviews be impartial and voluntary certainly not contrived. And that speaks volumes when trying to figure out who the BEST TESTOSTERONE THERAPY CLINIC is for you! We despise the industry standard of using fake patient names, acronyms and cities to post testimonials and reviews. All of our reviews are posted directly to our Facebook Wall by our patients themselves. As such, we invite and encourage you to visit our Facebook Page for TRT Reviews and Testimonials: Boston Testosterone Partners on Facebook and read all the patient postings to our wall. Over 30,000 fans can’t be wrong. Massachusetts – “Just finishing 12 weeks of protocols with BTP and I have to say what a God send and life saver this has been. Charlie B. is an amazing guy and the staff and doctors are too. BTP has the best protocols in the biz and the best pricing too. I have never felt better in my life. I sleep through the night, I have the energy levels I did when I was 25 and have been in such a positive mental state it is great. I feel like I have a whole new lease on life. I highly recommend all men to get their t levels checked. It will be the best thing you could do for yourself. Or better yet, give Charlie B a call or email and find out for yourself what I have discovered. Yes, I was skeptical at first and hesitated to take the first step. However I am so happy and thankful now that I did I want everyone to do the same. Instead of just getting older, I am getting better and so much happier. Thank you Charlie B and BTP, you saved my life and opened my eyes to what I always thought my life should be. If you are in the market for help, if you would like to find out your testosterone levels or if you have previously been diagnosed as suffering from Low Testosterone, Hypogonadism or Andropause, contact us. Send us an email for information on our practice, our TRT protocols and our adjunct therapies: CBlaisdell@corenewengland.com. Like all the patients before you whose lives have changed by getting tested and getting their testosterone levels back, you’ll be grateful that you found us.